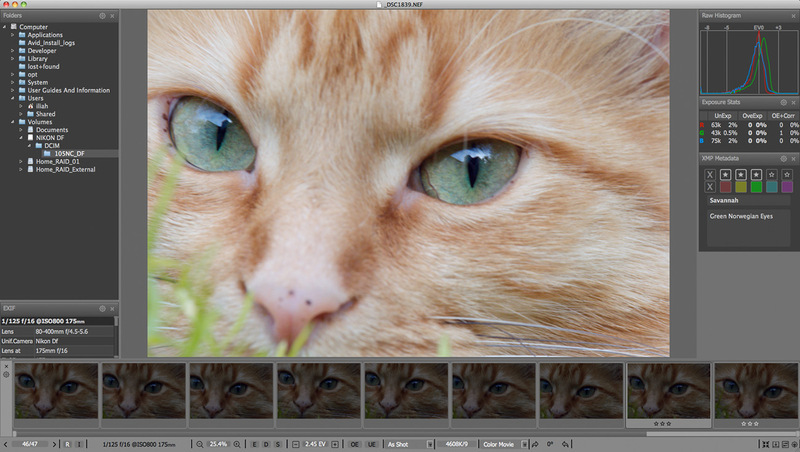 RawDigger allows to view, study, and analyze raw data as recorded by digital photo- and certain video cameras. Currently the main tools RawDigger offers are histograms, statistical analysis of raw data (mean, StdDev, min and max values), raw compression tone curve dump (if present). Results can be saved as appropriate in the form of bitmaps and/or CSV and CGATS tables. RawDigger tools work over the whole raw data in the file as well as over arbitrary rectangular regions and "point" samples. Exposure Edition is intended for everyday use, to help those who are serious about extracting the maximum quality from the camera through getting precise exposures. It is is often used to determine the calibration of in-camera exposure meter and quantify different vignetting sources, as well as to improve the light setup in studio when it comes to uniformity and dynamic range. 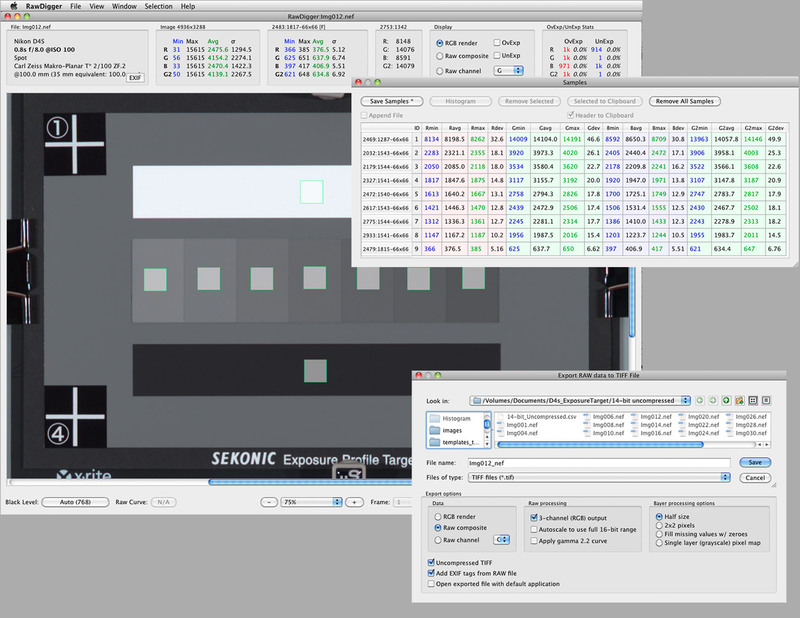 Exposure Edition: displays RAW data in all modes (RGB, RAW Composite, and RAW per channel), indicates over- and underexposed areas, displays RAW histogram, image statistics, as well as statistics and histogram for selected area. Research Edition is meant for camera/sensor evaluation and statistical analysis of raw data. It is suitable for a wide range of tasks, starting from personal use and preparing reviews and all the way to programming RAW data processing. Among other things, it is suitable for the study of flare and glare and resulting characteristic curves. It is very helpful when checking lens transmission symmetry, and setting even lighting. Profile Edition is for those who need to create sensor calibration data, linearization data, or device data for color profiling. 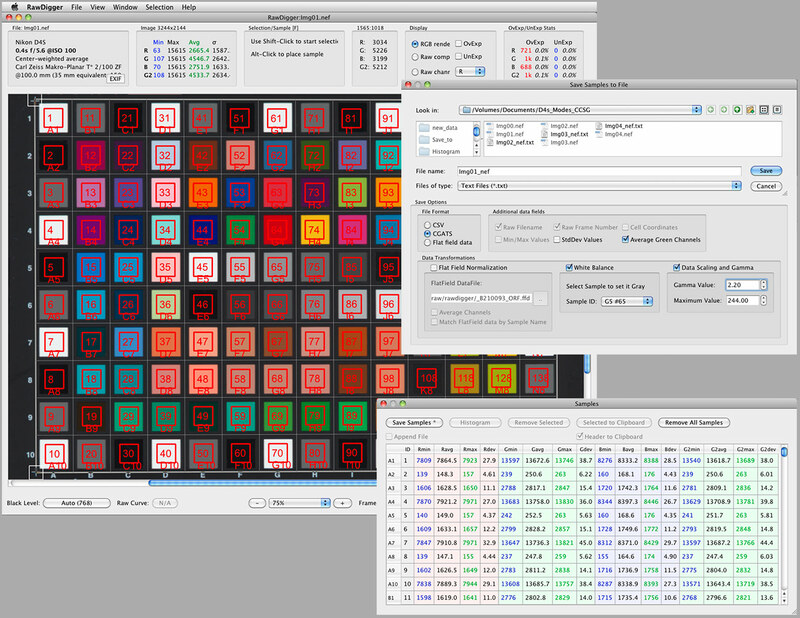 Profile Edition adds selection grids for faster processing of step wedges and color targets, as well as for calculating non-uniformity maps. Profile Edition allows applying white balance, normalization, equalization (Flat Field), and filtering of outlying values before data export. The free open-source multi-platform LibRaw API Library for reading RAW files obtained from digital photo cameras is based on dcraw and using RawSpeed. LibRaw Library is meant to address the needs of raw convertor developers, GUI developers, and those interested in implementing and testing their own routines for certain steps of raw conversion workflow, i.e. 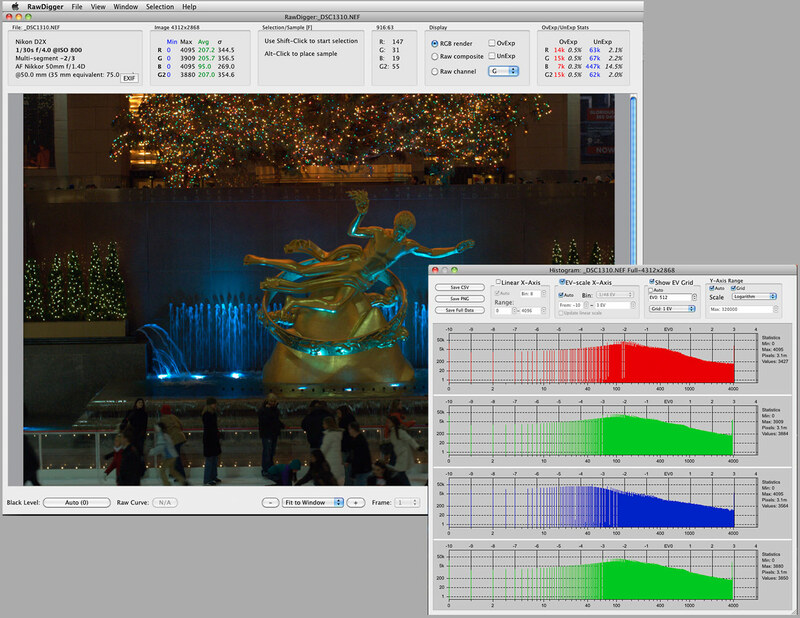 demosaicking, color transforms, noise reduction, correction for distortions and aberrations introduced by optics, etc. The LibRaw Library is also useful for raw data analysis and for the purpose of testing sensors and lenses. It is a very popular library, used in many commercial and open-source products.